Back cover blurb: Meet thirty-something Dad, Alex. He loves his wife Jody, but has forgotten how to show it. He loves his son Sam, but doesn't understand him. Something has to change. And he needs to start with himself. Meet eight-year-old Sam. Beautiful, surprising, autistic. To him the world is a puzzle he can't solve on his own. But when Sam starts to play Minecraft, it opens up a place where Alex and Sam begin to rediscover both themselves and each other . . . Can one fragmented family put themselves back together, one piece at a time? Life is an adventure - at least that's what Sam is told. Sam's father, Alex is not so sure, because his life as he knows it, is falling apart. His wife and Sam's Mother, Jody has asked him to move out of the family home, their marraige is clearly not working, not least because of Alex's inability to connect properly with Sam who is autistic. Alex is also guilty of working far too hard in a job that he doesn't particularly enjoy and never really wanted in the first place. Alex may seem like a hapless individual, but there is much more to him than that. As changes take place in Alex's life that he has no control over, he begins to find more time to spend with his son. He learns that not everything about autism can (or should) be discovered from a book, and that much is learnt by spedning time with thise affected. In short, Alex learns to fall in love with his son, all over again. 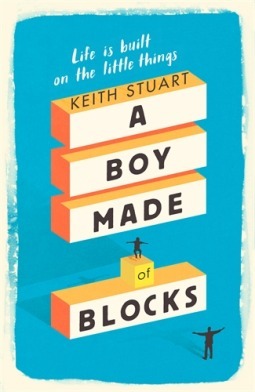 A boy made of blocks is an emotive, educational novel that everyone should read. A boy made of blocks is available now from Amazon online and all good book shops.